Because I was the featured designer, Meredith asked me to answer some questions about my personal, design, and creative life. I will share more of those details in some future posts, but I thought today would be a good day to share what I told that group about my scrapbooking. I’m absolutely a scrapbooker! My online name for almost 20 years was Katie the Scrapbook Lady. I only recently changed it to Katie the Creative Lady so I could incorporate some other projects I want to work on in the future. I have been scrapbooking since the mid 1980s when I was only a teenager. A friend of mine showed me her scrapbook filled with photos and stickers and I fell in love with the whole thing immediately. I was a paper scrapbooker who went through the whole evolution of moving into acid-free supplies. I was a big fan of Creative Memories and even became a consultant for a few years. I found digital scrapbooking in 2005 and never went back to paper. It was the best thing that ever happened for my creative life and I still love it. I enjoy scrapbooking about everything but I especially love documenting family memories. I’m definitely a template scrapper. I love having a base to start from and I also enjoy creating templates. I remember when layered templates first came out (I’m thinking it was 2007?) and they were a game changer! This is my most popular template pack and it’s one I use all the time. Here’s a layout using one of the templates. I use digital supplies for lots of other projects. I make cards, tags, binder covers, blog graphics, family charts, and anything else I can think of. 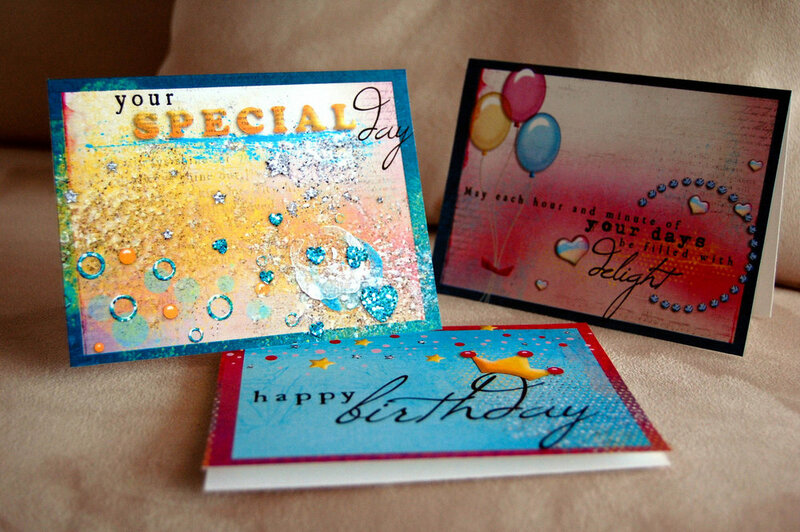 Cards created with digital supplies and printed at home in 2010. Kitty Designs. I especially love using digi supplies for mixed-media type of art journal layouts. Really, I just love all types of digital scrapbooking! Here are a few favorite layouts. Scrapbook Lady SuperSized Template. One Little Bird Designs These Walls. Baskerville Old Face font. Some journaling taken from the official Willard Intercontinental website. I could keep going all day! It’s hard to pick favorite layouts because they each represent meaningful events. I’m definitely a scrapbooker!